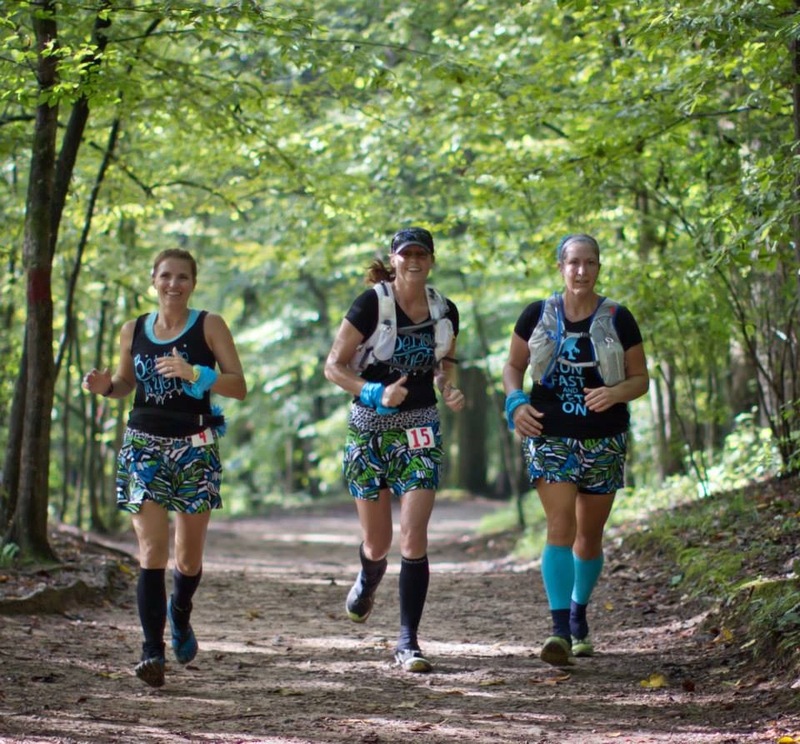 “Trail Running 100: Embrace the Journey” was started as an ordinary woman, wife and mom on a quest to run a 100 miler and to embrace that journey that would lead me there. I planned it all out, picked the “perfect” races leading up to it. 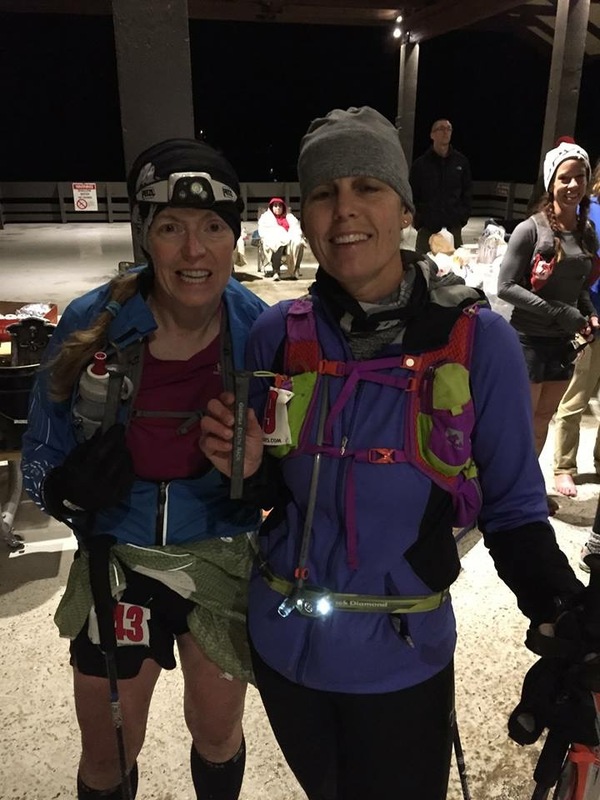 First a 36 mile race, then a 50 miler, leading up to the Death Race at 68 miles, then Blind Pig 100. I would do it, share what I learned along the way and try to share my struggles as well. It seemed the plan was going very smoothly, completing races, staying injury free (well for the most part, a few scrapes but trail runners don’t count those). So I came off the Georgia Death Race on a huge high finishing in just under 21 hours. I felt great, had a super fun time, enjoyed friends, made new friends and as far as races go, it could not have gone smoother for me. Now I needed to focus on Blind Pig 100. I had no running buddy to do it with. Everyone I knew that was going to do it, was no longer doing it. I was hopeful as I reached out to Brad, my new running friend who I shared several miles with on the GDR trail with. He had gotten injured on GDR and my hopes of a running buddy were fading fast. Getting myself excited to run the first 50 miles solo was mentally proving to be very difficult. 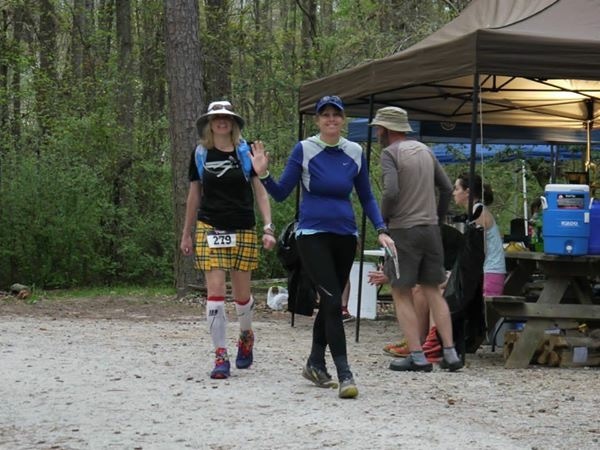 My friend Carrie Dix, who had paced us during GDR was also stepping in again to help crew and pace the last 50 miles of BP100, and while Brad Scott was injured during GDR and no longer able to run BP100 he quickly offered to help crew me as well. I think they were all more excited than I was. But this was a journey, and I had planned and trained and was determined to stay focused. The week leading into Blind Pig I went and bought myself a iPod Shuffle to keep me company and stalked Ultra Signup some to see if I could reach out to any other potential buddy to run with. One new friend I found, Lisa Grippe who was running the 100K solo seemed happy I reached out to her. We thought we might have compatible paces and be able to run some together. As I said, I’m a planner, I got myself organized with bins containing: clothing, medical supplies, food and fuel items, shoes, jackets, hats, etc. Everything was labeled so it would be easy for my crew to help me out as needed. I had packed enough stuff to keep me running for weeks but I was determined not to forget a thing, you never know what you might want or wish you had. That is one really nice advantage to a loop course, you can get to your crew and stuff and always know exactly what you have to choose from. I’m not the worrying type. I plan things out and then what happens, happens. Carrie and I drove up Friday afternoon, picked up my race number and got our camp site setup with our pop-up shelter. Then we headed back into Spartanburg for dinner and a good night’s sleep at a hotel. I slept well, woke up and was able to eat part of a bagel with peanut butter, had some coffee and we headed to the park. We unloaded, organized my things and I was ready to go. Lisa came and set up at our site with us, as I said she was going solo and Carrie was happy to help her out in any way she could. Runners gathered at the start line, they played the national anthem and off we went. The course is a 9 mile loop with a half mile out and back at the start to make up the 100 miles. Each loop when you came in, you checked in at the timing station and might I also add very awesome Aid Station, you then looped around the camp ground and passed your camp site. The course was a beautiful single track, somewhat technical course for the first 5 miles or so. Then dropping into some absolutely beautiful flat trails that winded around for roughly another 4 miles before a couple climbs up and out, dropping you back to cross a bridge, then all uphill to the Aid Station and camp ground area. I did catch up to Lisa, who didn’t have to run the ½ mile out and back at the beginning of the race. Starting around mile 5 or so, she and I stayed within sight of each other or with each other for the most part. The first loop seemed to go by fast and I was on a high. Loving the course, and the single track trails which are my very favorite type of trails to run on, I couldn’t ask for anything better at that point. I went out on a good pace on that first loop checking in at around an hour 40 minutes. Quick check in with Carrie and off for loop two. Carrie had stacked 11 small stones on the table at our site representing the 11 loops. Each time I came in one of us would toss one out, keeping count of where I was. Loop two passed fairly quickly, I stayed with Lisa for some of it, but after that point I only saw her leaving the aid station as I was coming in. I listened to my music, chatting with runners that I saw. On my third loop, I began running with a fellow runner named John. John and I would stay together for the next 3 loops. Usually he was just behind me as we hiked the hills and ran all the flats and down hills we could. Those loops took us through the heat o f the day. It got into the 80’s and quit hot. We saw many runners struggling with the heat. John and I both were drinking Tailwind, and we seemed to keep on our steady pace. As we came in completing our 5th loop, we expected to run one more together before picking up our pacers. 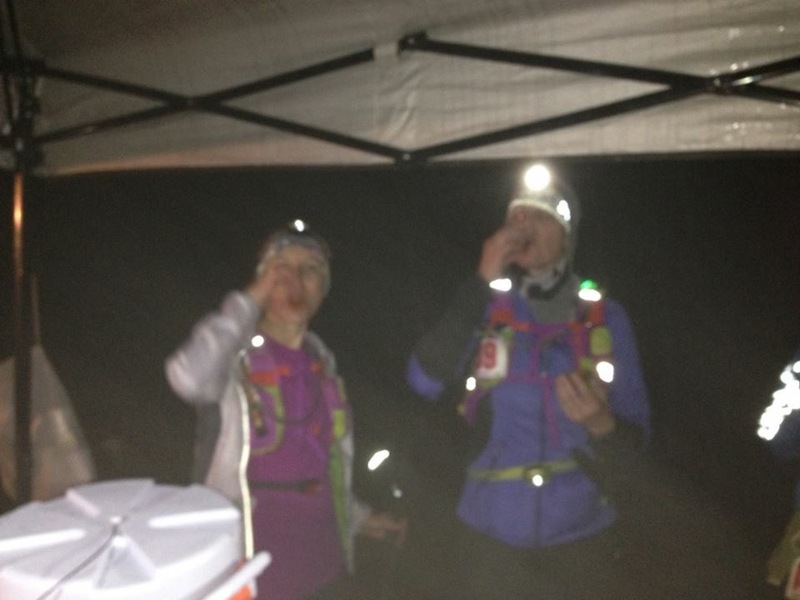 We discussed that we needed to grab our headlamps because before we finished our 6th loop it would be dark. John’s friend who was crewing and pacing him met us as we came across the bridge and said we could now pick up our pacers. Whoo hooo! Carrie quickly got her shoes on and ready to go out with me, John and his friend got out ahead of us and I never saw him again on the trails. Brad and his wife Paula had showed up while I was on my 5th loop and they already had bacon and grilled cheese sandwiches ready to go. I grabbed some of each and off we went. Carrie and I getting bacon on one of our loops, she ate hers before they could take the picture, oh well just get another piece, it is the Blind Pig!!! It was so nice to have Carrie this time out. I was excited for her to see the beautiful trails but before we got half way around the loop it had turned dark. With the dark, we continued our pace with a fast hike, we didn’t stop or slow down, just kept moving. We came into the Aid Station and our crew, trying to quickly grab what we needed and head back out; not forgetting to throw out another rock! We were joined by other runners in the night on our loops, Noah and Nick joined us for a couple loops, and later we meet Dean who kept us quit entertain during one loop. Someone new to talk to and for them it was company as they were running solo. Finally we came in after loop 9. I knew my feet each had hot spots on them and I was going to need to have some duct tape put on them to avoid a total blister fest. Brad quickly helped get my shoes off and slap some duct tape on my feet. What a life saver that turned out to be, never tried it before but had always heard that was the thing to do. This time Brad and his loyal dog JoJo joined us on loop 10. It was dark, this was the only point in the race I began to feel sleepy and slow. I had some chocolate covered espresso beans in my pocket and that seemed to do the trick until it turned light about half way around the loop. Carrie finally got to see the second half of the beautiful course in the light. She had gone five loops totally 45 miles with me, what an awesome friend! We got back to our camp sight, down to one more rock. Paula had just made fresh scrambled eggs. I sat down and ate some as Paula got herself ready to head out for my last loop with me. I was afraid it would be disappointing for her as I was so slow, not the run she might have been looking for. Not even sure if at this point I’d be able to talk a lot. 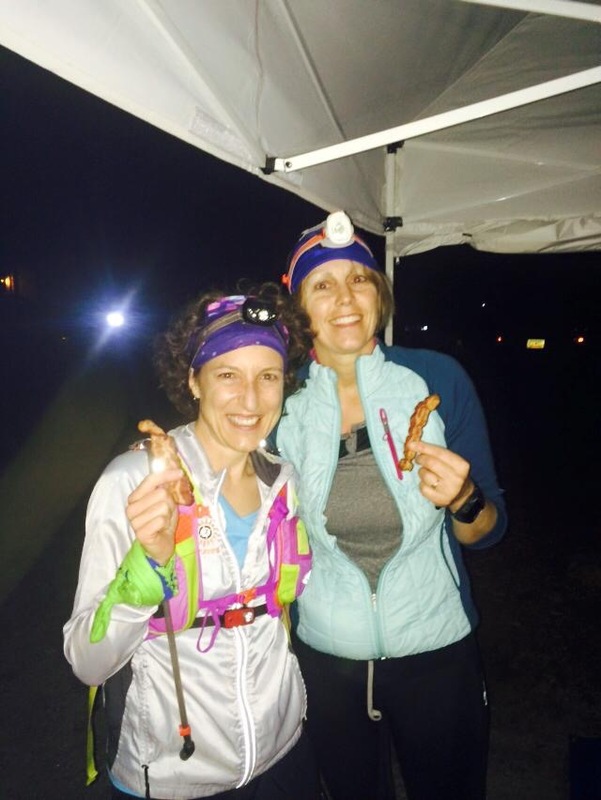 As we passed the main Aid Station before heading back out, I grabbed more bacon and they had fresh warm pancakes. I was off for my last loop. 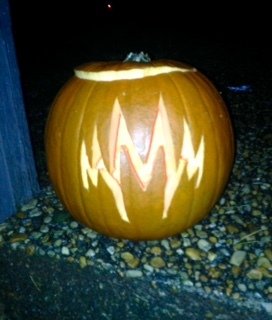 I had not really been running since it had gotten dark. My legs were tired but as we hiked through the night I also felt like they had recovered some. Once Paula and I got to some downhill’s and flatter sections I decided to see if my legs could run. Sure enough it actually felt good to start running again. I told Paula as we started our loop that I hoped to hike a little faster and complete it in around 2 ½ hours. So now with a little running mixed in, I was determined to finished in that time. We finally got the flat section of the course, I looked at my watch and it was 10:10am, I knew it had been taking us an hour to get through this section so I had mentally set my mind on finishing by 11:30am which would be a time of 27:30. I ran as much as I could but really I think I was about at the end of being able to run. 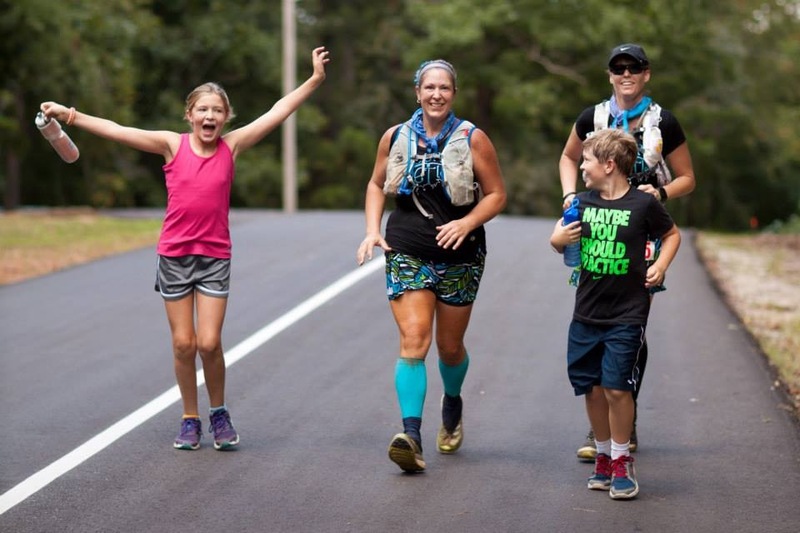 Paula and I had not seen a single runner on that last loop until we finally came across Matthew and his 10 year old son, Douthard during our final miles. Now there was some inspiration seeing those two! Finally we hit the last two hills and knew the bridge was just around the corner. As we dropped into the bridge we saw Carrie and Brad waiting across the river for us. I had asked them to meet us there so we could all walk up that last hill and into the finish line together, because what seemed more appropriate but to finish with all the awesome people that helped me get there. As Paula and I came across the bridge I asked her what time it was (my watch was dead). She said it was 10:57am. Holy Moly, I could finish this thing by 11:00am but I needed to run that darn hill to the finish. I had not run it once during the race but I was running it now. Brad got ahead to try and get a picture of me finishing and Paula and Carrie were right behind me. I rounded the corner to the finish and the timers, throwing my hands in the air and gave a shout. 100 Miles Done! Angela (the Race Director) said 26:59 was my time, a sub 27. I could not have finished this race without this great group of people, Carrie, Brad and Paula! My first 100 miler and what a great finish! Angela gave me my buckle, which I had begun to call the “Bacon” during my race. Everyone says go bring home the buckle, but Blind Pig, I was bringing home the bacon!!! We got back to our camp site and I threw out that last rock! Months of training, planning and running other races all leading up to here. Not only the longest run I’d ever done, the toughest with 40,000 ft of elevation change. From the moment I signed up for this race, we received emails about how we were all going to die, train harder. The race director, Sean Blanton aka Run Bum took great pleasure in telling us how we would surely die on this tough course. 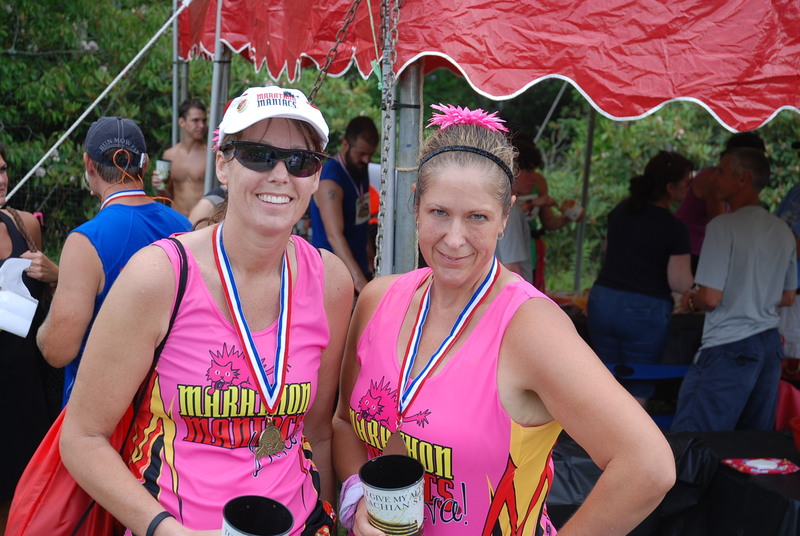 I had originally signed up thinking I would run this race with my friend, Laura. Early on when she had gotten injured I made plans to try and run the race with our friend Lisa, who Laura and I had both met on our very first ultra race. Of course you plan to run together but you also have to be prepared for things to go wrong, someone not feeling well, or even worse and injury. 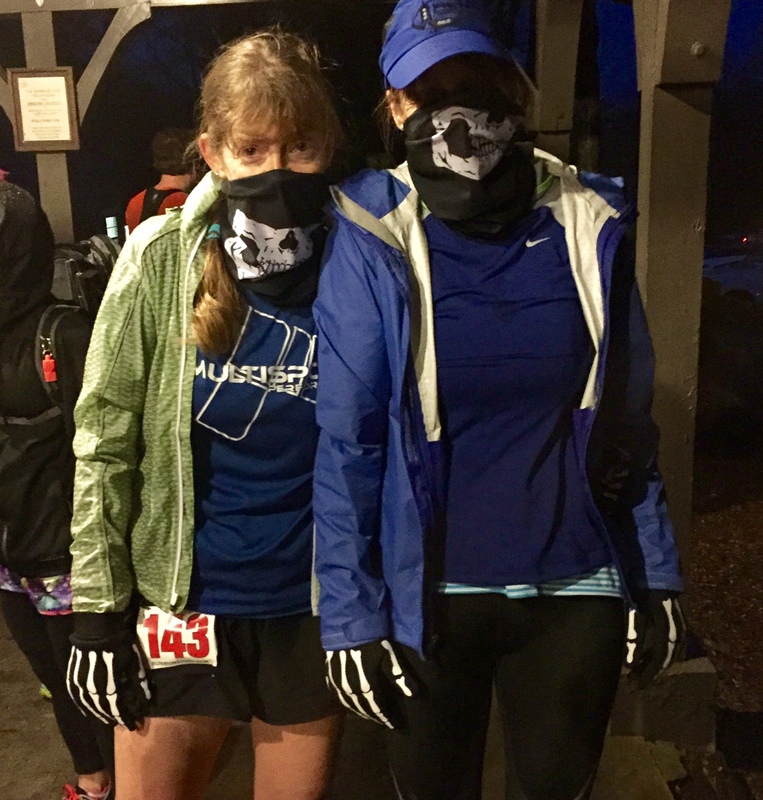 Ed, my husband, had already agreed from the moment I first signed up for the Death Race to be my crew and I had one friend who I had hoped would be able to pace me for the final 20 miles. 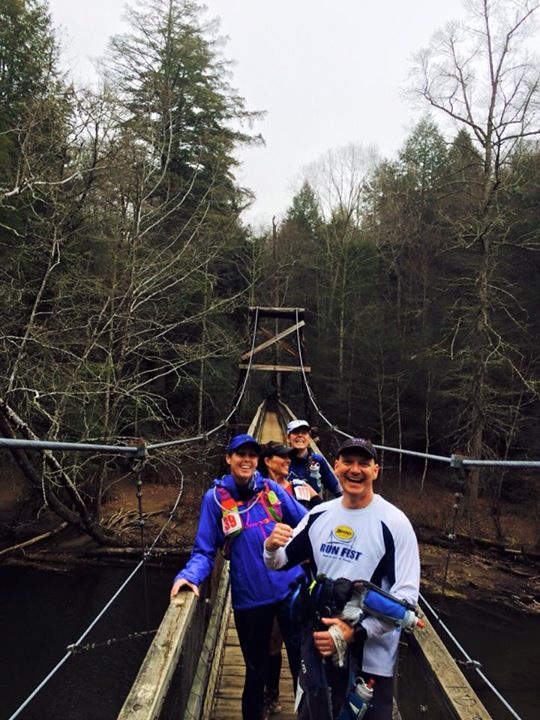 Being an awesome crew person, Ed and I check out aid stations with fellow runner Rebecca and Eric, her crew. What great guys! Weeks before the race I found a new pacer as my original buddy came up injured. Then to make our nerves even more on edge, the week of the race, as the weather was rainy and not looking good for race day, they reverse the course. I’m still not sure if that made the whole thing more stressful or less. I had fallen so deep into the hype I no longer knew what to expect. I could no longer change things, so I had to go with it, trust my training and stay focused. 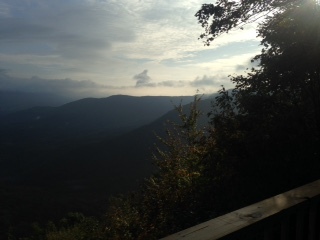 Ed and I drove up to Amicalola State Park on Friday afternoon. The car was packed with everything I could imagine I would need. There were 3 aid stations that had crew access. We had planned that after the first aid station at mile 23ish, Ed would need to circle into Dahlonega and pick up my pacer Carrie to meet up with us at Point Bravo Aid Station, mile 43. Lisa met us at the Lodge in the State Park around 4pm. We had a mandatory pre-race meeting that we had to attend that night, then get dinner and some sleep. Before we did that, our first plan was to get our packs ready, and make final decisions on what to wear and bring. We also had to get Lisa’s stuff moved to our car so Ed could help crew her as well as me. Lisa had crew planning to come up later in the race and meet her by the time we got to Point Bravo, but for now we would share crew. The meeting was filled with runners. I think we looked more like deer in head lights as Sean when over the course markings, other details along with the explanation of why they had to reverse the course. He told us about the course mileage. He doesn’t use a GPS watch so the mileage they list between AS is “ish” but the cutoff times at the Aid Stations were firm. How else does one dress for a Death Race! Race morning Lisa and I get up and head to the visitors center at the lower part of the park. The race would start there and climb up 600 some stairs to the top, then run back down the east side trail so that we can run the road back up to the top again. It was raining and the start was slightly delayed waiting on the shuttle buses bringing people who stayed at the finish. Finally we all gather at the start and we are off. We ran a short distance on the road before hitting the stairs. Lisa and I pretty much run the same pace, she helps keep me from going out to fast in the beginning. We stay moving as we climb the stairs and chat with other runners as we are all crammed into the stairs that never seem to end. Finally at the top we head down the trail which is probably some of the most rocky technical section of the course. Once down we hit the road and head to the top again. This time more of a fast hiking pace up the road that is far too steep to run, for us anyway. Once we finally get to the dirt road, well basically the fire roads, we settle into an easy running pace. Lisa has her watch set to remind us to eat every 30 minutes. It sounds like a lot, but they are small amounts of something to eat, and we’ve learned to stay on top of fuel and nutrition. Before long we are at our first Aid Station, Nimblewill Gap. We were both good, looked over the AS table and grabbed a cookie and kept going. We had come into that AS around 2 hours, a full hour and 45 minutes ahead of where we needed to be. Now from Nimblewill Gap to Jake Bull AS is mostly downhill for 8 miles. We again settled into an easy running pace, not too fast to wear ourselves out but we kept a running pace. The trails were beginning to get wetter and more and more muddy at this point. Within a mile or so, a runner came up behind us and let us know that Lisa’s jacket was falling out of her pack. I looked at her and immediately recognized her as my Facebook friend, Stephanie. 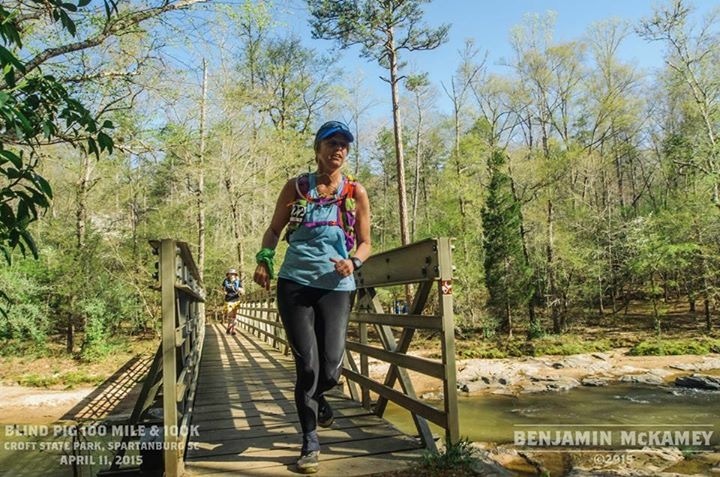 We had chatted before on FB after she had been the first female finisher in the Georgia Jewel back in the fall. She settled in and ran with us, as she was running solo and was so happy to find some company. We seemed to make that downhill stretch to Jake Bull in no time. We each grabbed what we needed quickly at AS and were ready to keep moving. The next section was beginning to have larger puddles in the roads and lots of hills going into Winding Stair Gap which was mile 23 and our first crew stop. Stephanie met up with her crew here and Lisa and I quickly got what we needed from Ed. Back on the road again, we had another 6.5 miles to Long Creek AS, as the roads got muddier as we went. I had taken off my rain jacket at one point and we were all totally soaked. I put it back on just to keep warm as being wet was giving me chills. Just after the next AS we were finally getting onto the Benton Mackaye trail which were some beautiful single track trail that we were all really enjoying after the 30ish miles on the muddy fire roads. Sapling Gap was at mile 38 and the last AS before we would get to Point Bravo where our crew and pacers would meet us. This awesome AS had grilled cheese sandwiches that we all enjoyed. Still on the Benton Mackaye trail, we came to the swinging bridge where we came across a couple other runners who were looking at a snake. Good thing no one had stomach issues that bridge would have not been fun. Just a few more miles and we were at Point Bravo. We had at least 3 hours before the cutoffs and were so happy to see Carrie and Ed standing there to greet us. Lisa’s crew had not shown up yet, and this AS took us a little longer to get what we needed together. Our new friend Stephanie had gotten her pacer and headed out just before us, we wouldn’t get to see her again but we enjoyed some great miles with her. Lisa’s crew showed up just as we were leaving, but soon we were off. The next section, the Duncan Ridge Trail (DRT), also known as the Dragon’s Spine would be the toughest. But as it turned out tougher for reasons we weren’t expecting. We knew the climbs were steep and long, that we already knew. The trail is endless up and down, thus the Dragon’s Spine, again we knew this. We would be doing it in the dark, that we knew as well. But the fog and the mud I don’t think we were quite prepared for. As soon as it was dark and we turned on our lights, we couldn’t see a thing. Trying to adjust to seeing where we were going, we were quickly off the trail, along with Brad and his pacer who was now with us. A little back tracking and we were back on the trail. Following the trail markers and keeping on the trail in the heavy fog took some work, but we finally adjusted and settled into a steady pace. Lisa and I are both strong hikers and we stayed steady. Carrie led the way as we traveled over the DRT. We got to Fish Gap and got some food and coke before heading off towards Mulkey Gap, our last time to see our crew. We just kept moving, that’s what everyone who had done the GDR before had told us, just keep moving. Mulkey Gap was only a few miles and we seemed to be there in no time. We got to our crew and I made a shoe change, unhappy with the shoes I had changed into at Point Bravo. We had gotten to that point in good time, but some rough trails and sections were still ahead of us now. The next 5 miles were very muddy and slippery. We all had our trekking poles and were using them to keep upright and at times keep from slipping off the side of the trail. This had to be our slowest 5 miles, but as the night wore on it seemed later sections were endless. Finally to White Oak Stomp, we are still several hours ahead of cutoff times and not worrying about the time at all. More grilled cheese and even bacon at this stop. Also Lisa had been looking forward all day to the pie that was promised to be at this AS, it was however pie day, 3/14/15! Apple pie and pumpkin pie, yes please! But before we got to our pie, we were offered shots of Fire Ball! Carrie and I were all smiles! We were pointed to the trail and told the next mile was all uphill, very steep climb but after that it was downhill! Off we went. 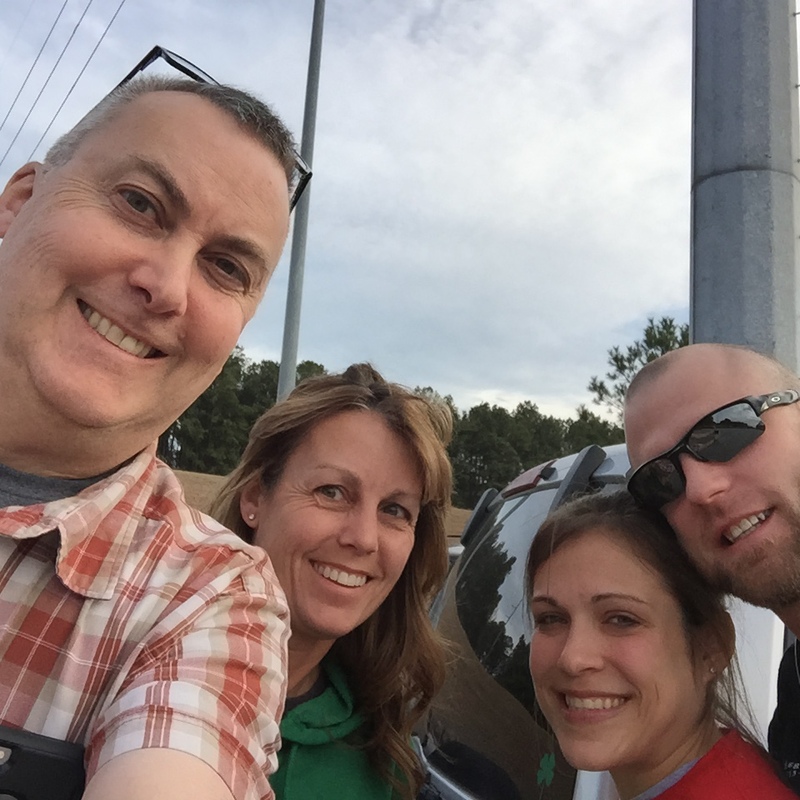 On a mission, we stayed strong, Carrie led us up the hill and to the top of Coosa Bald. One nice thing about doing it in the dark and fog, you have no idea where the top it, so you just keep going. But possibly worse than the climb would be the next 3.5 to 4 miles of downhill. 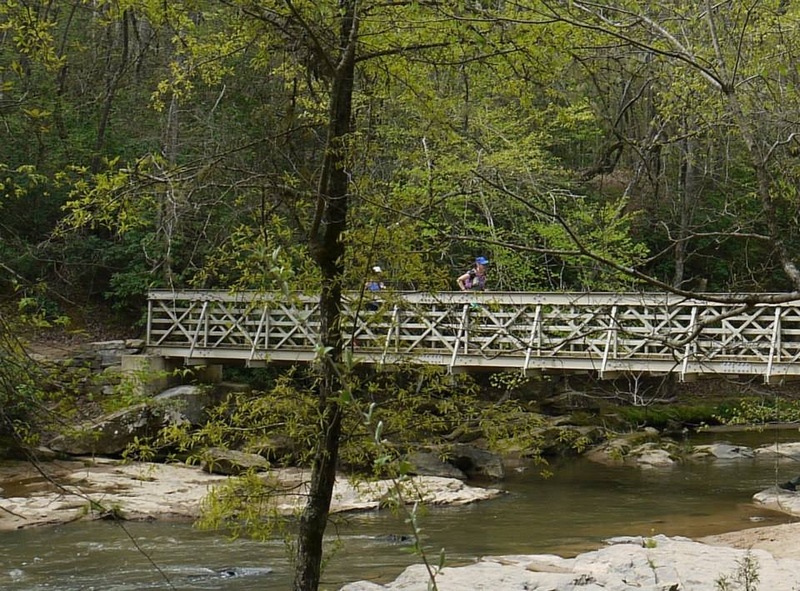 Coosa Backcountry loop is brutal up, but down is treacherous. My now your legs are tired, the trail is muddy and slippery and this section was the most painful for me. My knees were achy and I was ready to hit some flat or even uphill again. Steep downhill was not fun. Finally the last AS Wolf Creek. Carrie crabbed some M&M’s and we had to cross a very cold creek leaving there. Only 3.5 miles left, we got this girls. Three miles of uphill but it would all be over soon. We began to pass runners as we climb at a steady pass up the hill, finally reaching the top and a short distance into Vogel Park were we would soon find the finish line. A finish line was never so sweet. Not knowing if you could do it, would we get cut at an AS, but we never waivered in our determination. We were never negative or doubted for a minute that we would keep going. We finished in just under 21 hours, qualifying us for the Western States Lottery. Leading up to the Mystery Mountain Marathon and 12 miler put on by #GUTS, I think I was feeling pretty good. I had recently done a very challenging hike in the North Georgia Mountains doing 3 peaks and a total elevation gain of 5700 feet. I felt prepared and ready for the challenge. I had ever been to Fort Mountain, but felt like I could handle the climbs. It might be important to add here that I drove up in the rain and some heavy fog . It had been raining all night there at the park and the trails were muddy and wet. My plan was just to begin in the middle of the pack and go at an easy pace. I gathered at the start line with several other friends I knew and chatted with them before the gun. A pretty normal start with a few hundred yards on the paved road before dropping into the trail which quickly started on a single track and at times very technical trail for probably 9 miles. You can prepare for some things before a race such as training, before race food, clothing and such, but some things you just can’t always prepare for. As a trail runner you learn to adjust to the unexpected things that some up. Around a mile and a half into the run, a yellow jacket flew into my face and stung me on the eye. Yellow jackets are known to be vicious this time of year and don’t really appreciate several hundred runners disturbing them, go figure! Just as we came up to mile 3, there was a photographer at the top of a small set of rocks that informed everyone that there were yellow jackets just around the turn. I ran through the Yellow Jacket nest with a couple of other guys, everyone got multiple stings. Luckily that would be the end of the yellow jackets on the course. Around mile 10 the course turned to go up some very steep power lines. To stop and look up to the top was an almost overwhelming view, but the look back from the top would add the satisfaction of accomplishment. On to some wicked downhill that was nearly as steep as the climb up but not a straight line. 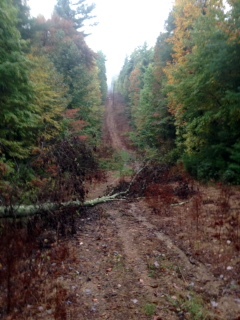 Once dropping out of the power line area it was on to around 7 miles or so of fire roads. Sounds like the easy part of the run, but heavy gravel fire roads are not usually what trail runners call fun. Sounds of water falls and some beautiful scenery gave way to the long fire road section that included constant hill climbs as well. 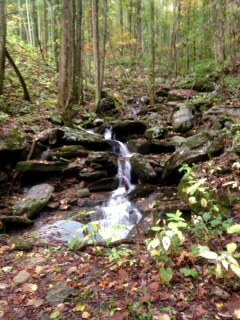 Beautiful waterfall along fire road. We loved the sound of water while we were running. One thing we were prepped on about the course was that around mile 20 we could expect a serious hill climb. As promised that hill would turn out to be everything we were told it was. It was very long, and steep at times, a hill you were certain couldn’t keep going up but it did. Once to the top it would prove not to be the final hill by far. Finally the last major aid station with 4.9 miles to go. At this point everyone was just looking for some flat or down hill to start running again. A few rolling hills before another good climb back to the top of the power lines (gee this looks familiar), yep down we go. Finally to the bottom with some cheering volunteers to encourage us along, the last mile or so looping around the lake and back to the finish were we started. It was not an easy run for sure. I was with others for most of the run, few and fewer near the end. But while several runners were pulled from the course because of missing cut off times, or dropping; I finished! Every step is truly a blessing. 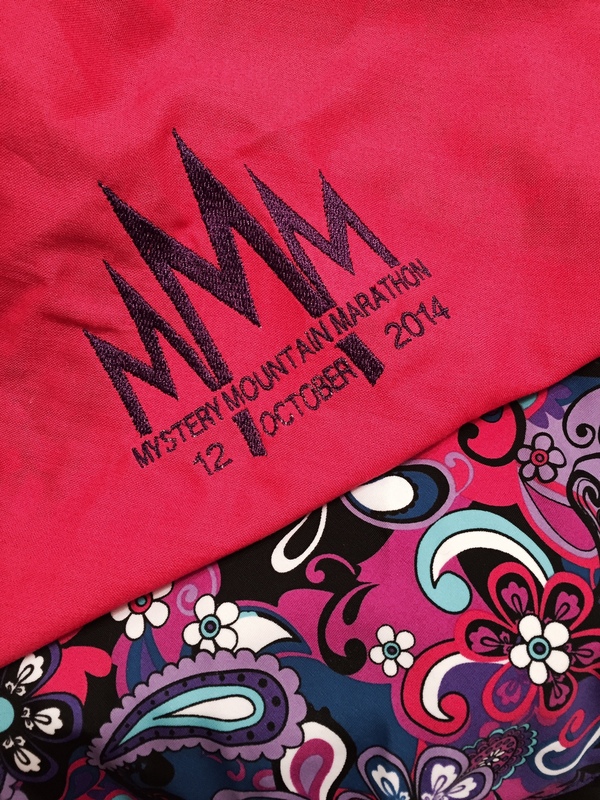 The Mystery Mountain Marathon was very well run by GUTS race director, Kim Pike. The volunteers were so supportive and helped me get through this tough race. Overlook from last miles of MMM. I had a very big Labor Day weekend. 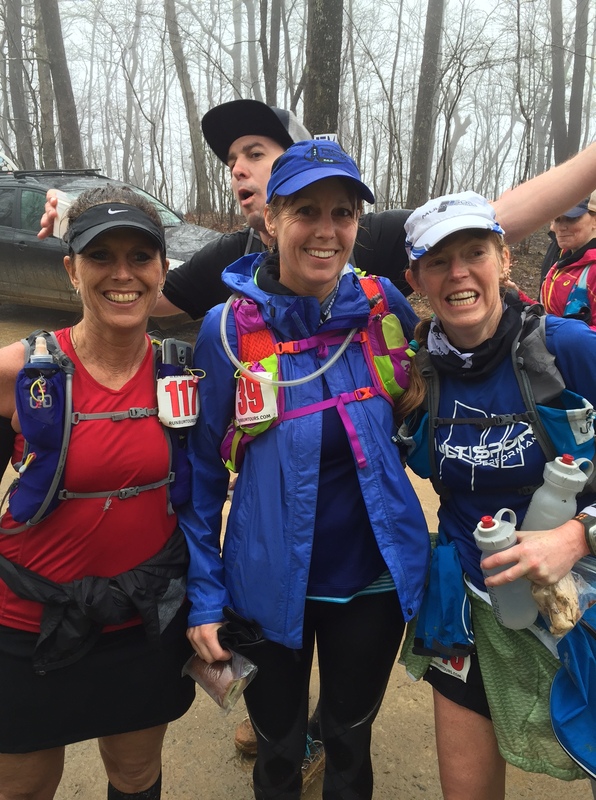 The Yeti Snakebite 50K was sandwiched between The ATL 20k and the Big Peach Sizzler 10K. A very Ambitious running weekend! I started the weekend Saturday, August, 30th with The ATL 20K. My goal as I started this race was to have a nice easy run with plenty of rest for the 50k the next day. As a bonus I placed in my Age Group! 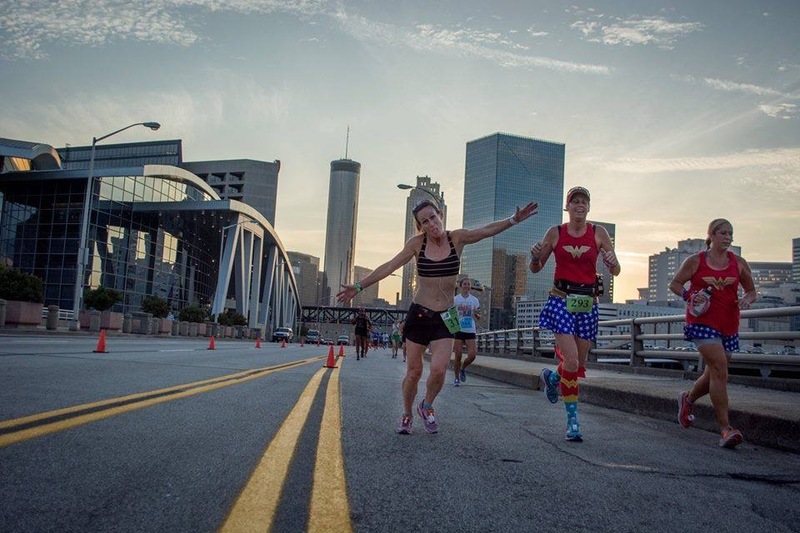 Beautiful skyline picture in The ATL 20K. The Yeti Snakebite 50K was next on Sunday, August 31. It was a very hot day in Georgia. 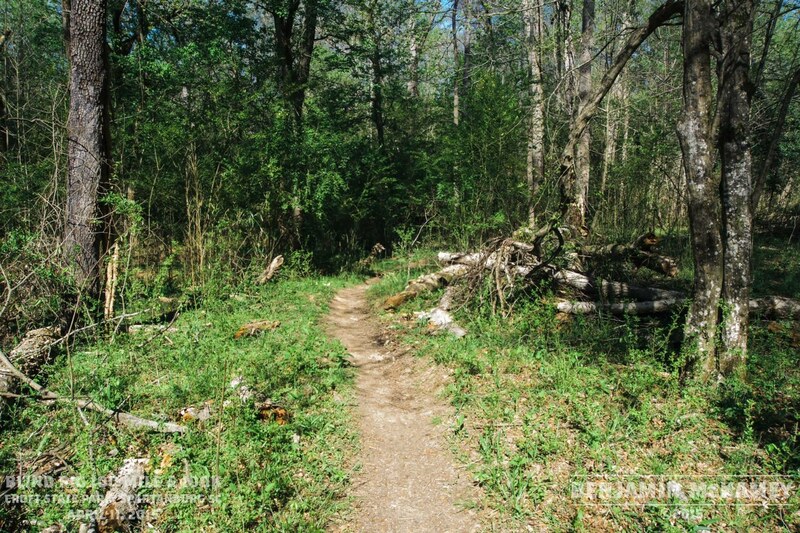 This would be an 11 mile, 3 loop course for the 50K. I had begun using Tailwind (www.tailwind.com) for my hydration during recent training runs. I had a cool packed with refills for my pack, along with snacks and other items for my drop bags. 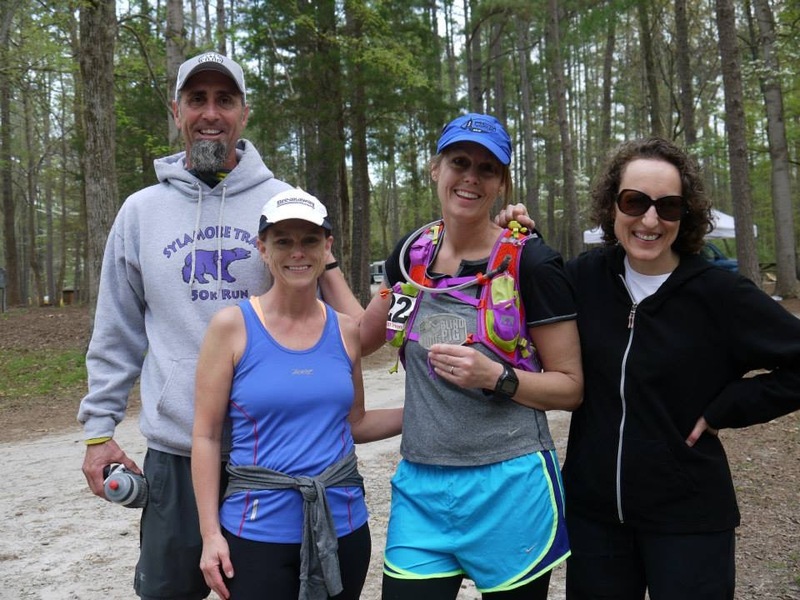 Another mom from Peachtree City contacted me a few weeks before asking if she could run with Laura and I, and we gladly invited her to join us for this (her first Ultra). Running at end of 1st loop. We started our pace slow and steady, kept reminding each other to hydrate often and not go too fast. By the half way mark we had seen runners in trouble and dropping out, but we continued on our pace. The course had variable terrain with several climbs. There was single track, rocks, steps, and technical sections throughout the race. The half way aid station was fantastic with enthusiastic volunteers who helped us load our packs and supplied really good snacks each time we went through there. At the end of our second loop, my husband, Ed had surprised me by being at the aid station and showing up to support me. Ed is a fire fighter and EMT and was quickly put to work with all the runners struggling with dehydration, etc. We headed into our final loop feeling strong and ready to complete our 50K. Laura’s family was there to greet us as we finished. Laura’s kids running through the finish line with us. This would all be just the beginning as it only made me want to push to the next level. My training leading up to Yeti Snakebite 50k included Grandfather Mountain Marathon in Boone, NC. 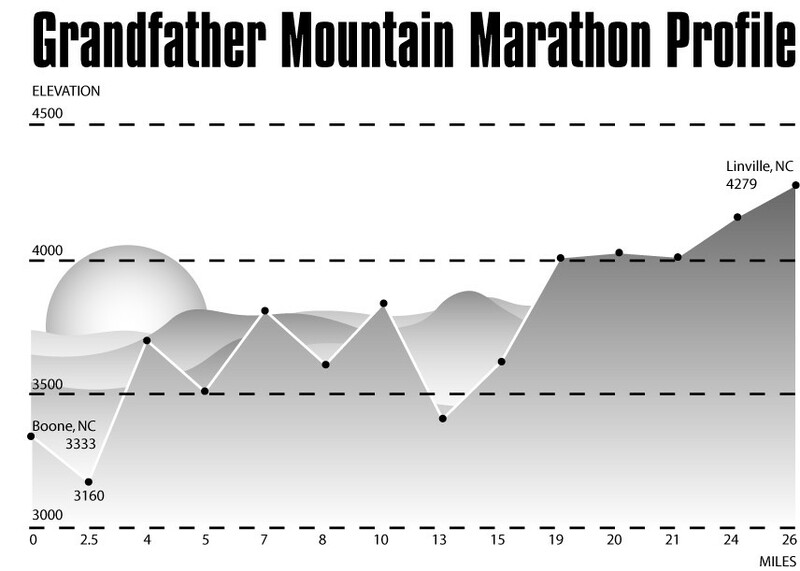 If you are unfamiliar with this marathon, it’s 26.2 miles of mostly uphill. The cut off time for it is 6 hours. I had signed up initially with our friend Tom, and then my friend Laura wanted to join the “fun”! We trained by running extremely hilly road courses to prepare ourselves. Our goal was to finish in 6 hours and have the finish line still up when we crossed. A short run on the Appalachian State campus the night before the race to stretch our legs proved to us that this would be no easy task. We may have taken on more than we were ready for. We met up with other Marathon Maniacs (www.marathonmaniacs.com) on the Football Field at App State for the 6:30am start for GMM. We began our race chatting with several other runners along the first few miles. We settled into a comfortable pace a few miles in, enjoying the beautiful scenery along the way and taking pictures as we went. By the half way point, we were at 2:22 hr mark, it was now obvious we could reach our goal and even surpass it. It was a huge boost to my spirits when I came in at 4:49 and Laura just 5 minutes later. For us a huge accomplishment but not really a race we wanted to repeat anytime soon. Laura crossed the finish line with a herd of sheep! The race ends at the top of the mountain in a Scottish Festival!